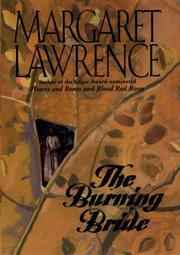 Third in a series set in 18th-century Maine (Blood Red Roses, 1997, etc.) and featuring spunky midwife Hannah Trevor, mother of eight-year-old deaf-mute Jennet. Hannah is again pregnant with a child by Major Daniel Josselyn, now a widower. Meanwhile, the War of Independence is over, but new conflicts threaten as cruel tax laws bankrupt and even imprison the area’s poor farmers’some of whom form their own army, calling themselves the Regulators and creating problems of loyalty for Daniel, who heads the local militia. Among the greediest oppressors are Judge Hamilton Siwall and Sheriff Marcus Tapp. When their friend Dr. Samuel Clinch is found murdered in the woods and a second killing follows, Tapp wastes no time in jailing Daniel for the crimes, exacting from a long-coveted Hannah a horrendous price for Daniel’s chance at freedom. Now it’s up to Hannah to weave together the bits and pieces that will eventually lead to the killer. Hannah’s story is but one in this overrich cavalcade of characters and events—even enough for a half-dozen novels. A treasure trove, perhaps, for patient lovers of historical romance, but a wearying journey for fans of straightforward narrative.